Decoction, infusion, multi-step infusion mashing can be realized. 15 days free installation and training service offered by profession engineer. 1. 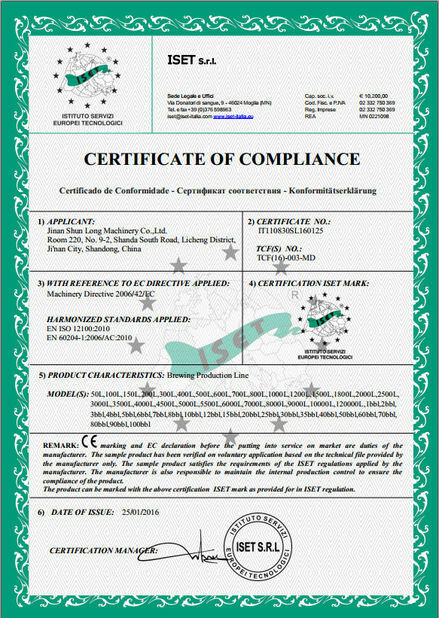 Inner are of international standards of quality 304 stainless steel material, high-pressure polyurethane foam insulation, the jacket in accordance with customer requirements, can be polished stainless steel, matt, carbon steel, the form of spraying. 2. 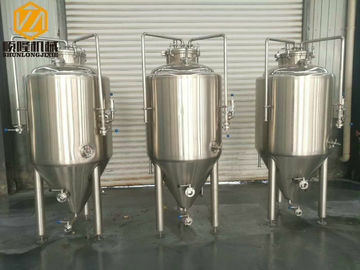 The application of international standardized fermented beer production technology, a wide range of temperature control application technology, mirror polishing inside the tank, up to ≤0.8um≤0.6um≤0.2um polishing quality standards, fully meet automatic cleaning and disinfection of the controlled system requirements. 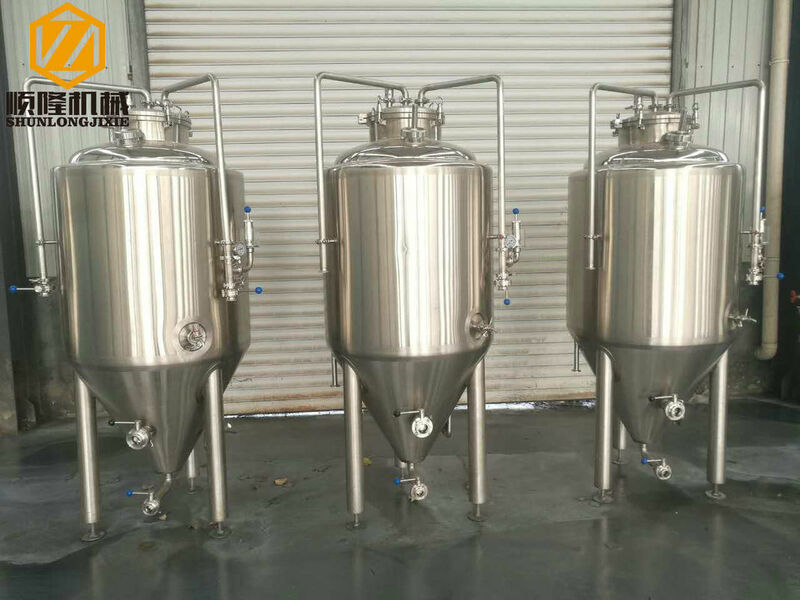 Shunlong Equipment Technology Co., Ltd. is a beer equipment manufacturer, and fermentation equipment manufacturers of Shandong. 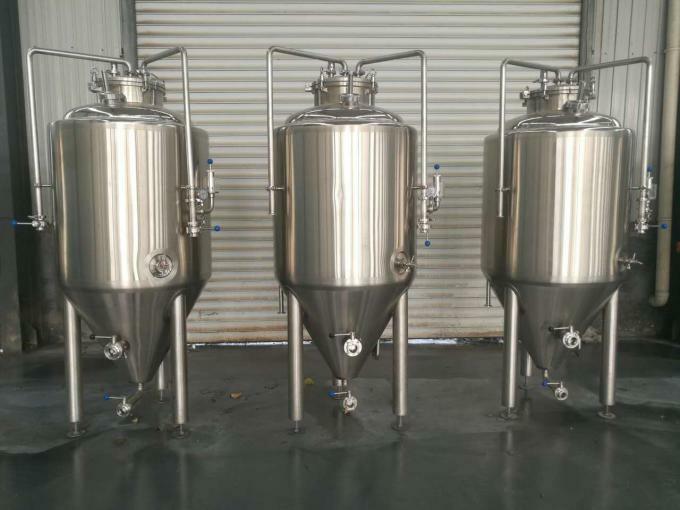 Professionally design, production, manufacture, installation, commissioning all kinds of beer equipment and facilities, including medium-sized beer saccharification, fermentation equipment, yeast expansion propagation, filter / filter press system, CIP cleaning system, high concentration dilution system, micro-brewed beer equipmentand equipment and filling equipment. 2. Owing to the quotation of our equipment is FOB price which excluded charges of door-to-door service. 3. 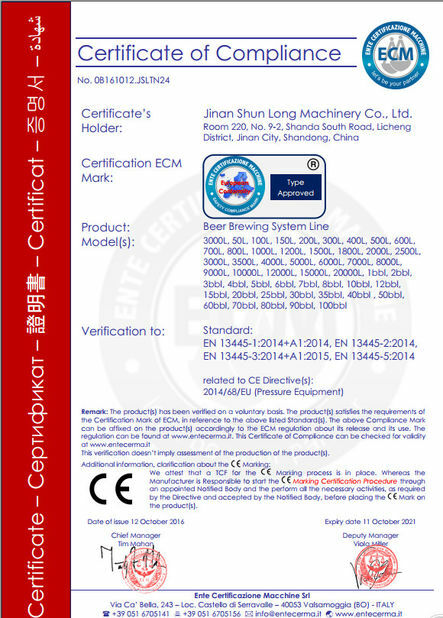 Thus, if necessary, we can appoint our technician to debug the machine with air ticket, visa, accommodation and labor cost provided by your party. Or you can send your technician to our company to learn techniques. 4. Meanwhile, you can call or e-mail to consult any relevant questions since we have a special line of after-sale service. Or you can communicate online and solve the problems. 1. What is your packging? Export standard, wooden case, iron crate, suitable for long distance sea transportation. 2. What is your lead time? 30 working days after we receive your payment. 3. Could you caculate the shipping for me? Yes, please kindly let us know which port is nearest to your place. 4. Can your factory produce products according to our samples or drawing? Yes, we can. And most of our products can be customerized. 5. What is your term of payment? 40% T/T in advance, balance before shippment. or other suitable payment methods.